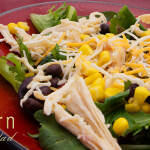 You can’t go wrong with this Southwestern Chicken Salad. Throw together what ingredients you have, add what you can’t live without and improvise the rest if necessary! 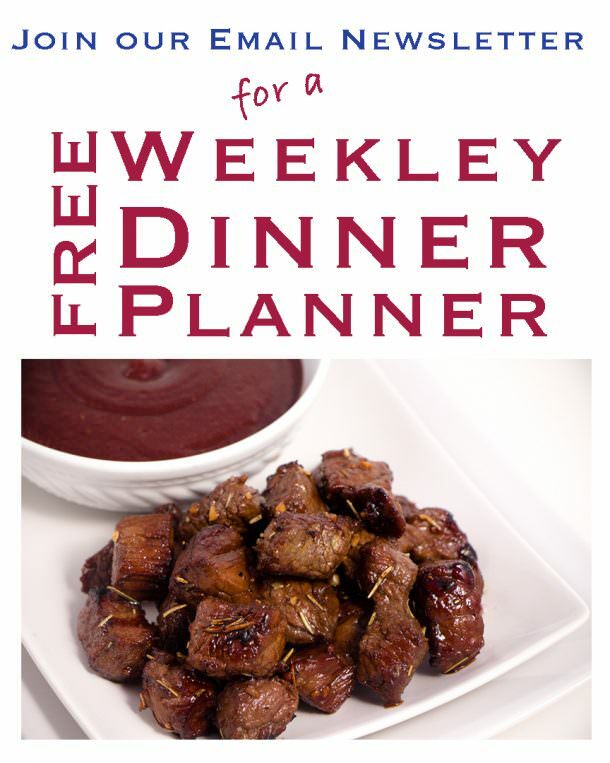 This has been served in casual gatherings as well as larger affairs and every time is a hit. What I love most about this salad is each person has the opportunity to personalize it how they like. 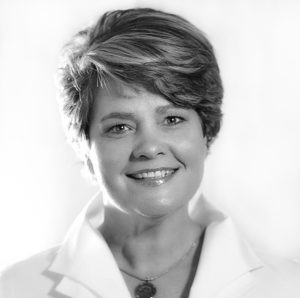 As a host, you don’t have to worry about individuals likes or dislikes, they can put what they want on their meal and it will be perfect for them. 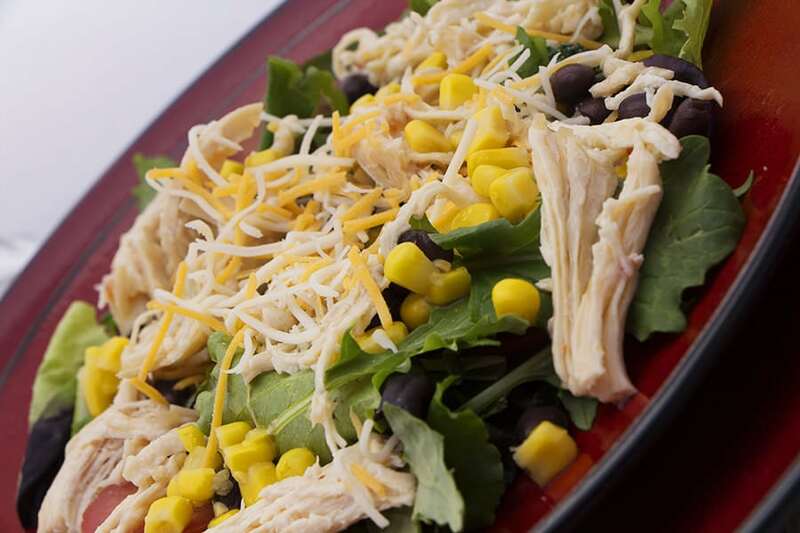 Make the Shredded Chicken base ingredient in the crock pot and this salad will come together quickly! 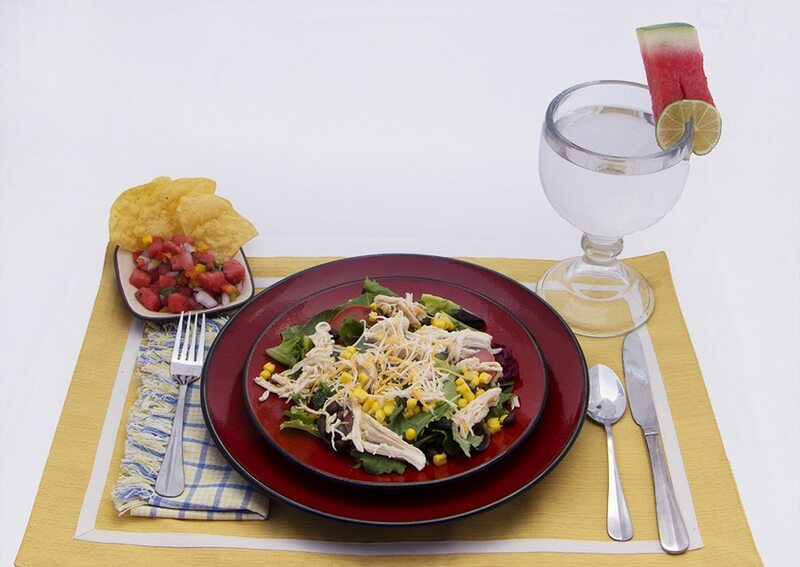 A refreshing meal with the shredded chicken served hot or cold is perfect for picnics, family reunions, work socials, or a family meal. No need for a formal sit down when you are rushing to music lessons, sport activities or whatever fills your time away from home. Easily served when you are ready for it. Shredded chicken can be left to cook in a crock-pot while you work or are away from the home. It easily shreds and can be stored for later use, or freeze to use at a later time. Serve with Watermelon Salsa for an added sweet taste. Wash and pat dry lettuce. I prefer a combination of types of lettuce in my salad. Chop or hand tare lettuce and place in a bowl. Toss in chopped tomato, black beans, and corn. 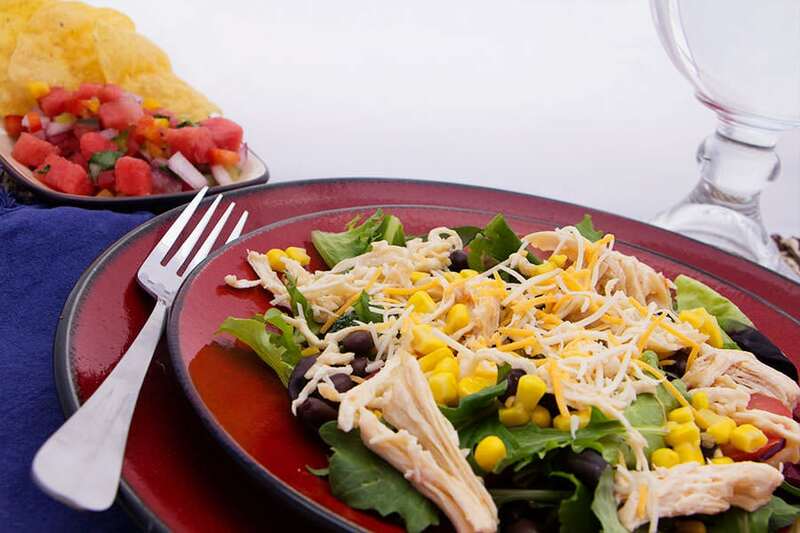 Place shredded chicken in a bowl to add to your salad personally. *You can leave chicken cold or warm it up. Place cheese, salsa, sour cream, guacamole in small bowls and garnish your salad personally as desired. Mix 1/2 cup of Ranch Dressing with 1/2 cup of Italian Dressing. Serve with Salad.